When it comes to coining words, dishing out hard punchlines and still making good music, Alanz is a pro. His past singles and freestyles can attest to that. 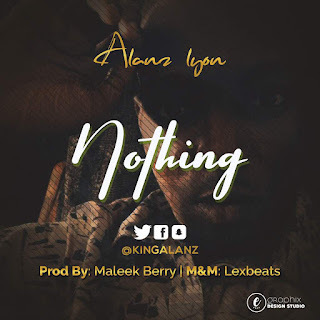 Now, Alanz is out with a new joint which is titled "Nothing". It seems like he's been taking a chill pill on releasing joints lately. He makes a strong one on this one and he's promising stronger joints ahead. Brand new single from “M A Y” has he resurface back with “Search” which was Produced by “IDTBeat”. Dj Nestle Presents, #LitDeejays #PartyOfYourDreams 12hours Non-stop jamz with over 24 made men DJs accross Nigeria. How to Cure Alzheimer Disease or Dementia. The Phenomenal Ace DJ Hacker Jp On A New And Second Hype Mix in 2019, (GOD BLESS DJ NEPTUNE). Super Hypeman, Don, is a popular Nigerian-base hypeman with lots to Offer.